Our Zagame’s restaurants have been synonymous with kid friendly dining. With all our restaurants in Melbourne featuring Kid’s world, your children are guaranteed to enjoy themselves, just as you would with our range of menu options and exceptional service. Kid’s World is literally another world built just for kids. 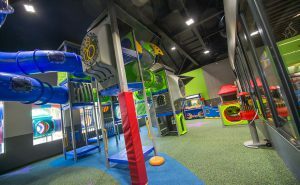 With a dedicated play area featuring tube tunnels, slides and other interactive games, Zagame’s gives you the opportunity to enjoy a relaxing meal while your kids play. Catering to both adults and kids alike, our menu features a dedicated kid’s selection. With meal options such as chicken tenders with vegetables, fish and chips, pizza and pasta for your children to choose from, they’re guaranteed to be able to pick something they’d like. This coupled with some of the friendliest staff in the business; it’s no wonder why we’re known as one of the best kid friendly restaurants in Melbourne, and just a few of the reasons why… everybody loves Zagame’s.